Good read plus free = win! Apparently he was giving the whole series away free, but I missed the first one. That's okay for me as I already own it, but sorry for the late notice for those who like my recommendations in books. 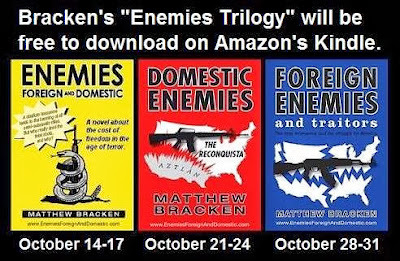 I'll have to get the last one (Foreign Enemies And Traitors) when it becomes free on the 28th.